Getting more service for less money is what you will grow accustomed to when using Premier Miami Limo Service. Our limo pricing and Black Car Service Miami is competitively set for your comfort and ultimate enjoyment. We offer a stunning line-up of premium, latest model vehicles to accommodate any size group with any specific preference. We can custom tailor any itinerary, corporate or leisure, to meet all of your needs for any occasion. We take great pride in our world-class and diverse fleet of the latest models which come equipped with every modern amenity and convenience. You can take your pick of stretch limos, wedding cars, prestige cars, party bus limos, corporate limos and more for any size of party or occasion. Our limo service is tailored to the needs of our clients and not only meets but exceeds their expectations. Understanding that our entire team is both the face and backbone of the company, we carefully screen and hire only the most highly qualified and experienced chauffeurs and customer service team members to make sure that your travel experience will be a most pleasurable one. South Florida airport and seaport limousine and car service are all inclusive and our specialty. 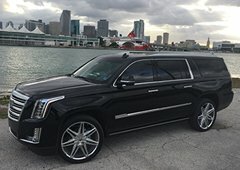 We are a fully licensed Limo Service in Miami with a talented team of qualified and experienced chauffeurs who are among the best in the business and who have a passion for transportation. Along with our customer service agents, they will give you an unparalleled high-quality service. Every member of the team strives to achieve the best. We are determined to provide you with the finest limo and luxury car service Miami has to offer. Sit back, relax and let us take care of all your limo and luxury car needs. 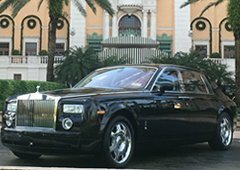 Premier limo is proud to present our exclusive Rolls Royce limousine rental services( limo service Miami). We offer special rates for weddings and other occasions that can only be enhanced by the beauty and elegance of a Rolls Royce. There is just something special about the mere sight of a Rolls Royce that makes onlookers linger to see who emerges once the door is opened. 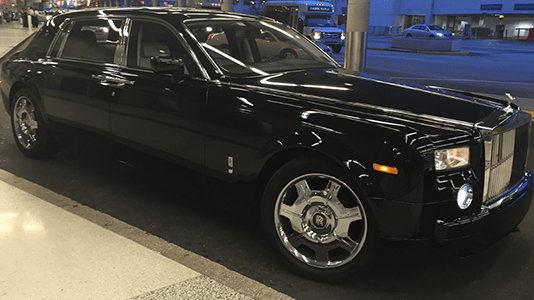 Contact Premier Limo today for our exclusive specials on all Rolls Royce Miami rental services. We can provide your family with a COMPLIMENTARY, high rated NHTSA Infant, Toddler and Booster Seat. Last minute change in plans? No problem, we can be there in 15 minutes. Don’t want the burden of paying at the end of every trip? Create an Account. Need assistance in finding the perfect yacht for your party? Just call us. Need the perfect exotic car rental for tonight’s date? We are here to help. Need a reservation at the newest restaurant? We can get it done for you. Looking for a VIP table at one of Miami’s hottest nightclubs? Contact us. Need any VIP concierge service? Look no further than Premier limo rental. We offer a stunning line-up of premium, latest model Sedans, SUVs, Mercedes Jetstream, Stretch Limousines, and Exotics to accommodate any size group with any specific preference. We can custom tailor any itinerary, corporate or leisure, to meet your needs. All our clean and well-maintained vehicles are regularly serviced to ensure they are always in tiptop condition. With us you are not just renting a car you are engaging a company that puts its clients at the heart of everything. Whenever you need us, Premier limo service Miami is always available for service 24 hours a day / seven days a week. All our chauffeurs are exceptionally friendly and posses extensive knowledge of the greater Miami and south Florida area. Personalized service and attention to detail, we are the premier choice. Call us today at (305) 440-1000 for a custom quote. 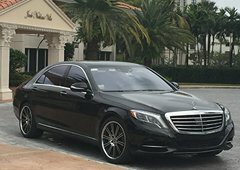 Premier Miami Limo is a leading limousine rental company offering luxurious and affordable chauffeur driven and self-drive cars for every occasion. 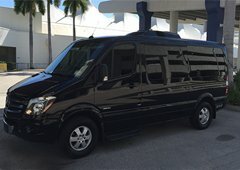 Whether you need a limo Miami service for airport transportation, business meetings, a wedding or other important event you will get to your destination in comfort and style. Quite simply our mission is to provide our clients with a luxury limo service Miami that does not break the bank.